Citroen, the French automaker comes with its model Citroen C-XR Concept 2014. 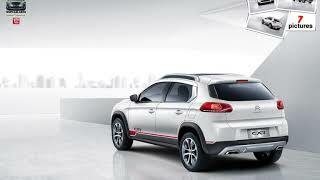 The C-XR holds the distinction of being the first Citroen model developed with the Dongfeng Motor Group. It is a sharply designed crossover with style and design. 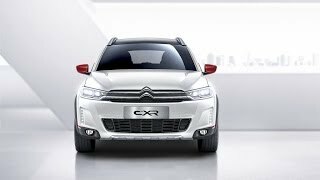 Let us have a close look at the review of the Citroen C-XR Concept 2014 and get to know more about the features it contains. The interior of Citroen C-XR Concept 2014 is simple and beautiful. Drivers enjoy impressive visual comfort, saloon-style driving position and raised ground clearance providing a commanding view of the road for complete peace of mind at the wheel. There is a large glass panoramic roof. There is a C-shaped side signature providing a visual link between the roof bars and chrome-finished waistline, highlighting the roominess inside. The customers enjoy the experience inside the cabin. Thus rounding up the interior details of Citroen C-XR Concept 2014 I would call it comfortable and gorgeous. 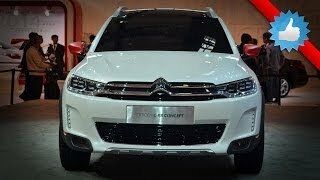 The exterior of Citroen C-XR Concept 2014 is superior in looks. The wide, chromed front grille of the CX-R is a nice touch. The front headlights are aggressive providing a nice complement to the harped front bumper with integrated LED daytime running lights. The front with these feature provide a sporty look. Around the back there are 3D-effect taillights and the dual chrome exhaust pipes. The model has a muscular appearance with the 17-inch alloy wheels wrapped in all-season tires. 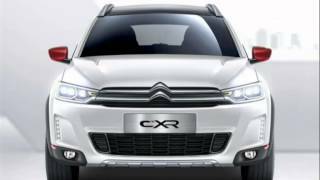 Thus concluding the exterior details of Citroen C-XR Concept 2014 will take you over a ride that you were waiting to have since long. 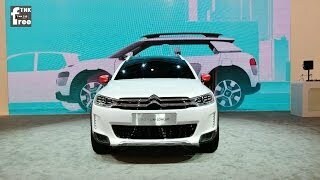 Citroen C-XR Concept 2014 is powered with the 1.6-liter THP engine beneath its hood. It provides with 160hp of power. It can knock 0-60mph in 8 seconds offering the maximum speed 155mph. It uses the latest-generation automatic gearbox. It is aided with 17-inch alloy wheels providing a better drive.